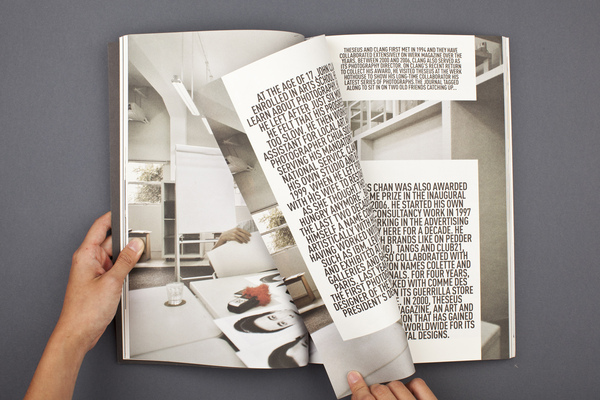 A bi-annual print journal for The Design Society in Singapore. The unique editorial layout utilized its columns without occupying the whole page, and made use of bold condensed typeface. Also was drawn to the fluoro green overprint on the cover giving the reader a preview of the content just beneath the transparent green title. Project by Eunice Yip based in Australia with H55 Studio.